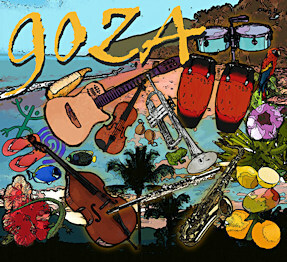 Pick up a copy of Goza Latin Band's debut self-titled CD, released in 2015. It includes a wonderful mix of Latin Rhythms, including Salsas, Cha-Chas, Boleros and even some Blues. Original compositions by Guitarist David Giardina and arrangements by Saxophonist Jeff Taylor. LISTEN TO THE SAMPLES or ORDER YOUR COPY NOW! !